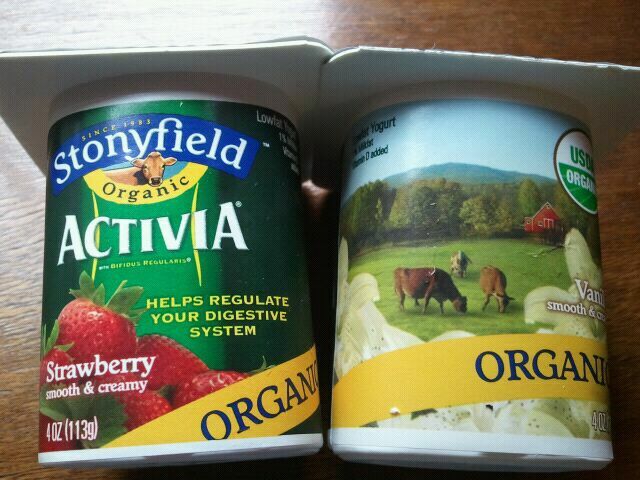 Stonyfield Farm Organic Activia Review & GIVEAWAY ! I love yogurt. I could eat it every day and be totally happy. One of this things I love about it is the way I feel after I eat it. 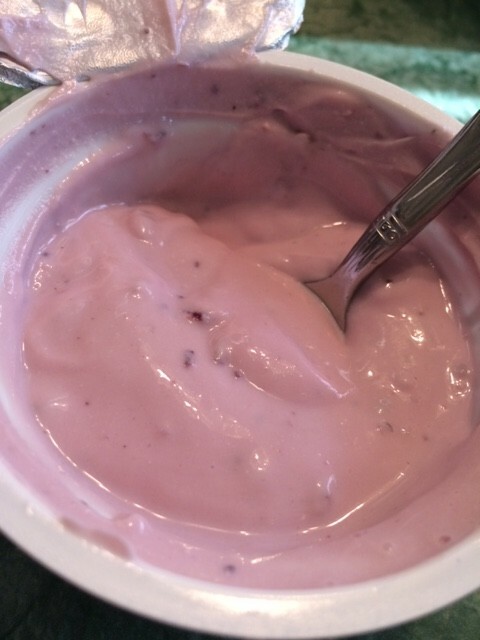 I believe yogurt is a power food, packed with healthy bacteria and more. They sent me two flavors to try for free. Strawberry and Vanilla. I tried the Vanilla first. Now, for the giveaway! There will be (are you ready for this?) FIVE WINNERS! 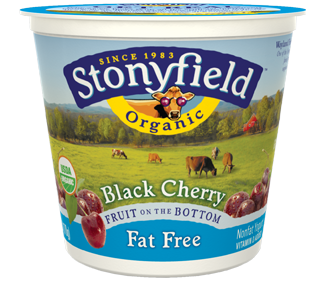 Five of you guys will get a coupon book for two FREE WEEKS of Stonyfield Farm Organic Activia! What’s your favorite flavor/brand of yogurt? 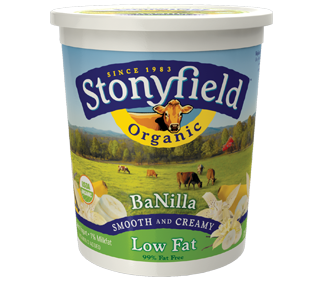 One of my all time favorite Stonyfield flavors is the Banilla. 1. Follow me on TWITTER and tweet about this giveaway mentioning me AND the link in the tweet. 2.Add me to your blog roll! 4. Leave a new comment on any of my reviews! Giveaway ends Friday, July 15th, 2011 at 12pm. United States only. If you live in CA,ID,MN,LA,NV,ND,TN or NJ, and you win, you will receive a $1 off coupon for pack of yogurt instead. I received 2 free weeks worth supply of yogurt for free from Stonyfield Farm, and the coupons are provided for free as well. 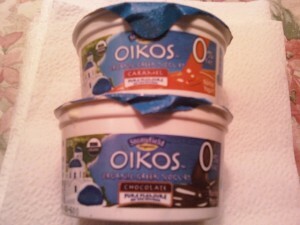 I won an awesome contest hosted by Oikos, and got some free coupons to try the Oikos yogurt. I ended up picking up a new flavor I never tried before, Superfruits. 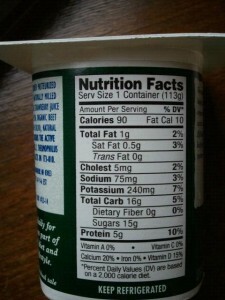 This yogurt had pretty impressive stats, with 0 grams of fat, and 13 grams of protein per cup, and only 130 calories. I put mine in the freezer for 30 minutes or so, and when I took it out, the top had a slightly hard texture. Peeeeeeerfect. It was just the way I liked it, because I could break it and then stir it up so it was one cool and creamy treat. 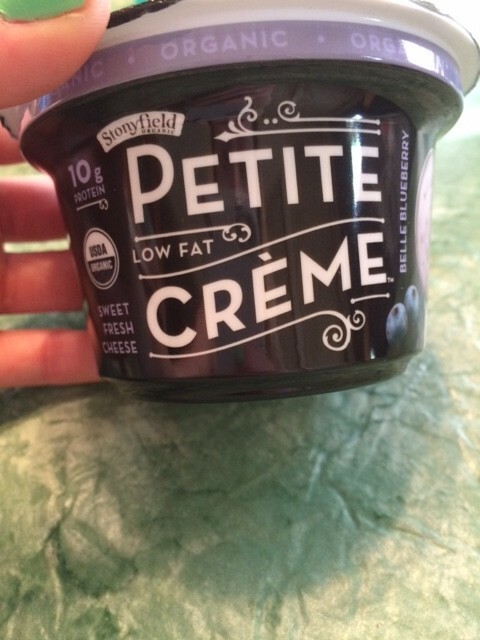 The yogurt itself was very thick, I was actually surprised just how creamy it was! Even the white yogurt on top had a slight fruity and sweet taste to it, and wasn’t completely plain. The fruit part on the bottom was jelly like but also slightly bumpy in consistency. There were no fruit chunks, like I normally would find with say a strawberry or blueberry. I don’t mind pieces of fruit, so either way I was fine with it. It was sweet, and had a really fresh, fruity flavor, with a kind of tart, raspberry tasting flavor. 1 cup is 130 calories, 0 grams of fat, 18 grams of carbohydrates, 0 grams of fiber, 16 grams of sugar and 13 grams of protein. One of the greatest inventions of food for me was definitely yogurt. But not just any yogurt- real, natural yogurt. 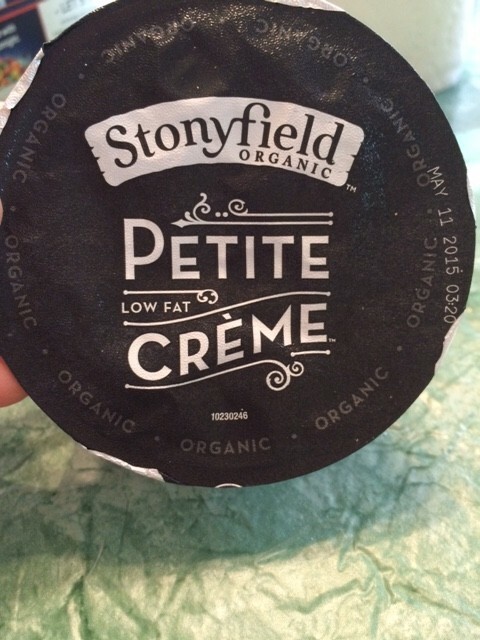 One of my favorite brands is Stonyfield Farm- they produce some really delicious and organic products! Today’s review? 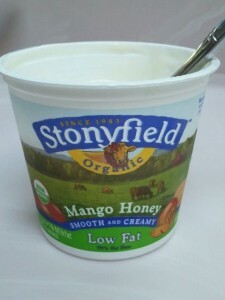 The Organic Mango Honey Yogurt. I usually eat yogurt with some cereal, or something like a slice of banana bread for a snack before dinner. I opened up this container and gave it a stir. 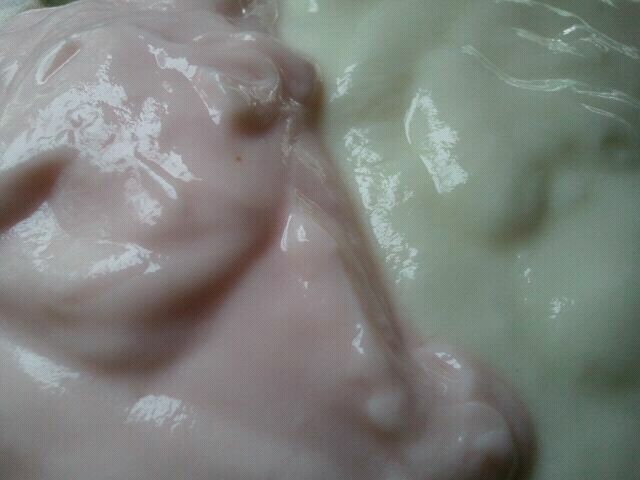 It was a creamy yogurt, that was a pale yellow in color. I took a scoop and really enjoyed it- no overpowering flavors at all. Just a tinge of honey and a tinge of mango. Just enough were it was sweet, but not sugary tasting. It had a very fresh flavor to it, and was actually quite delicious. The honey gave it a bit of a tang, and the mango provided a slight aftertaste as well. Overall, this one gets 4 stars from me. Nothing like real yogurt. 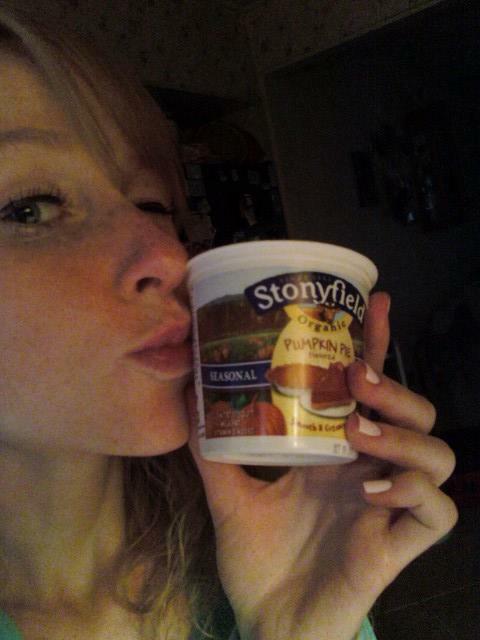 Stonyfield Farms has my heart (and my spoon) forever! 1 6oz cup is 130 calories, 1.5 grams of fat, 23 grams of carbohydrates, 0 grams of fiber, 23 grams of sugar and 7 grams of protein. 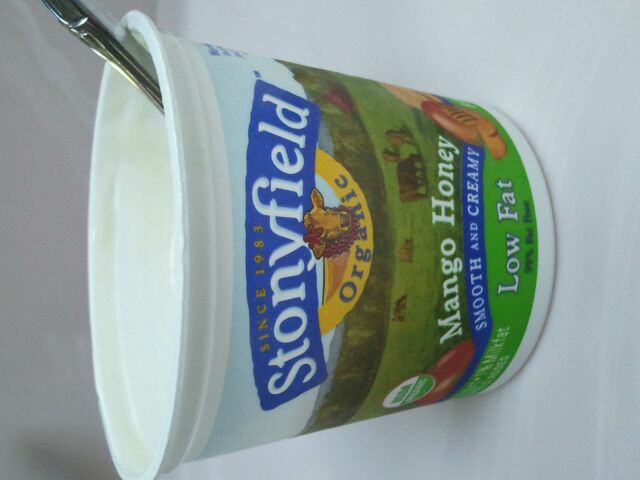 Whats your favorite Stonyfield Farm yogurt (if you tried one?) My favorite is the Banilla! It is! 😉 Oikos has now officially combined sinful & good-for-you. Their 2 new greek yogurt flavors, available in individual 4 packs, of Pure Pleasure Caramel and Chocolate are good for you, the earth, and your taste buds. 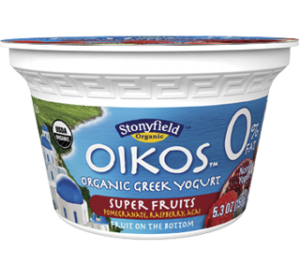 The greek yogurt part wasn’t as thick as traditional greek yogurt, but was more of a mixture of plain yogurt and greek put together. I didn’t mind that, in fact, I actually preferred it. I don’t really like my greek yogurt soooo thick when I’m eating it by itself. 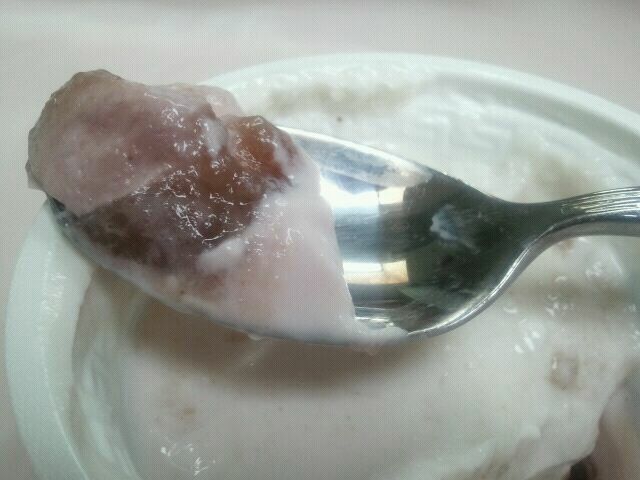 (However, if I’m eating granola with yogurt, I do like it thick). The yogurt part by itself was actually a little sweet, and then the pure pleasure was on the bottom. I decided to try the caramel flavor first. It wasn’t THICK like on a caramel apple, but smooth and easy to stir with the yogurt. It had a nice sweetness to it, with a buttery, even brown-sugar taste. Next was the chocolate. The bottom was a little bit thicker than chocolate syrup, and tasted sort of like that too. Although not as sweet as your typical chocolate syrup, it had a rich cocoa flavor, and was also smooth and delicious. I didn’t mix mine completely, I prefer to take spoonfuls where half the spoon is yogurt, half the spoon is caramel/chocolate, and let the mixing take place in my mouth 🙂 I think you can enjoy the sweet bottom, may it be caramel, chocolate or even fruit, better. These definietely get 4 1/2 stars. They are the perfect pick me up, with the perfect sweetness, and are a good size to pair with some fruit or granola for a snack or a light breakfast. 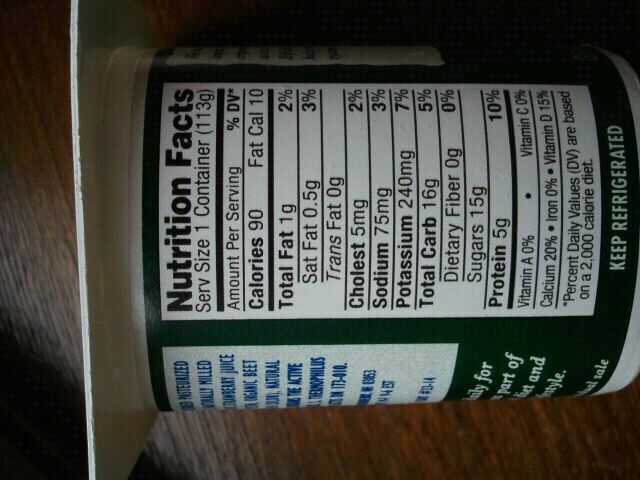 1 container is 110 calories, 0 grams of fat, 17 grams of carbohydrates, 0 fiber, and 10 grams of protein. Caramel- ORGANIC NONFAT MILK, ORGANIC SUGAR, NATURAL FLAVOR, PECTIN, CARRAGEENAN. CONTAINS FIVE LIVE AND ACTIVE CULTURES INCLUDING L. ACIDOPHILUS, BIFIDUS, AND L. CASEI. Chocolate– ORGANIC NONFAT MILK, ORGANIC SUGAR, ORGANIC COCOA, PECTIN, NATURAL FLAVOR, ORGANIC CAROB BEAN GUM. CONTAINS FIVE LIVE AND ACTIVE CULTURES INCLUDING L. ACIDOPHILUS, BIFIDUS, AND L. CASEI.